Your opinion matters. Leave your review of Long Beach Rescue Mission Services For Women and Children Lydia House. Description: Lydia House - Services for Women and Children. 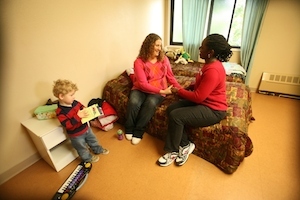 Our 50 bed Lydia House provides solace and hope in the face of abuse, addiction, financial hardship and abandonment. Lydia House also assists many in finding more acute care facilities, while striving to move all guests into semi-permanent housing. Lydia House services are not available to walk-ins or emergencies. For referrals and walk-in services for families, please visit the Long Beach Multi Service Center at 1301 W. 12th Street, LB 90813 or call (562) 570-4500. Do you have items to donate? Contact Long Beach Rescue Mission Services For Women and Children Lydia House at the phone number provided above to see if they can use any items you may have to donate.